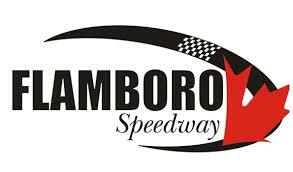 After all the dust settled at the front of the field, it’d be Matt Bentley emerging victorious in the Velocity 250 at Sunset Speedway on Sunday afternoon. Tom Walters won the first heat ahead of Justin Holmes, Coltin Everingham, Herb Walters, Dave Doucette, Ken Grubb, Brandon McFerran, Brandon Passer, Kris Lawrence, Paul Pepper, and Traivs McLean. Ryan Semple won the second heat ahead of Todd Davenport, Stefan Semeraro, Matt Bentley, Dustyn Mombourquette, Dan Robb, Paul Maltese, Gerrit Tiemersma, Paul Boundy, Miles Tyson, and Robbie Sikes. The third heat featured a quick spin with McLean going around on Lap 2. Ken Grubb picked up the win ahead of McFerran, Passer, Doucette, Tom Walters, Holmes, Lawrence, Everingham, Herb Walters, Pepper, and McLean. Matt Bentley won the fourth heat ahead of Tiemersma, Davenport, Tyson, Mombourquette, Semple, Boundy, Semeraro, Sikes, and Robb. Come feature time, Ryan Semple led the field to the green flag ahead of Justin Holmes, Ken Grubb, Dave Doucette, Gerrit Tiemersma, Coltin Everingham, Stefan Semeraro, Tom Walters, Todd Davenport, Matt Bentley, Dustyn Mombourquette, Brandon McFerran, Brandon Passer, Herb Walters, Miles Tyson, Kris Lawrence, Paul Pepper, Robbie Sikes, Travis McLean, Dan Robb, Paul Boundy, Paul Maltese, and Frank Davey. Ryan Semple grabbed the advantage off the drop of the green flag ahead of Holmes, Grubb, Doucette, Everingham, and Tiemersma. Tom Walters would then get alongside Tiemersma for sixth at Lap 3, with Everingham challenging Doucette a lap later for fourth. Everingham got the spot on Lap 6, with Walters getting alongside Doucette now for fifth ahead of Tiemersma, as Bentley and Semeraro battled for eighth ahead of Davenport and McFerran. With eight laps on the board, Semple led ahead of Holmes, Grubb, Everingham, and Walters with Tiemersma and Doucette side-by-side for sixth. Bentley would then take the pair of them three-wide on Lap 10, with Everingham getting alongside Grubb for third two laps later. Everingham moved into third on Lap 13 ahead of Walters, with Grubb now fifth ahead of Bentley and McFerran, as Passer battled Doucette for eighth. Passer got the spot on Lap 15, with Semeraro looking to follow him through. The battles continued through the field with Bentley challenging Grubb for sixth at Lap 18, as Passer challenged McFerran for eighth. Bentley took sixth on Lap 19, with Passer moving into seventh a lap later. McFerran moved into eighth on Lap 22, with Grubb now ninth ahead of Semeraro, Tiemersma, Lawrence, Tyson, Mombourquette, Doucette, Robb, Herb Walters, and Boundy. Despite the long green flag run, the battles remained prevalent through the field as Semeraro got alongside Grubb for ninth at Lap 26, completing the pass two laps later, bringing Tiemersma through with him. Grubb now ran 11th ahead of Lawrence, Tyson, Mombourquette and Doucette. Passer continued his climb forward, passing Bentley for sixth at Lap 34, with the caution flying a lap later for McLean going around, followed by Pepper at the opposite end of the speedway. With 16 laps to go, Semple led Holmes, Everingham, Tom Walters, Passer, Bentley, McFerran, Semeraro, Tiemersma, Lawrence, Grubb, Mombourquette, and Tyson. Robb ran as the first car one lap down in 14th ahead of Herb Walters, Boundy, Maltese, Davenport, Pepper, McLean, and Davey. Semple got a good restart ahead of Everingham, with Passer alongside Holmes for third. Passer got the spot, challenging Everingham for second on Lap 36, as Tom Walters challenged Holmes for fourth. Passer would take over second with 12 laps to go ahead of Everingham, Walters, Holmes, Bentley, McFerran, Grubb, Lawrence, and Tyson. Walters would challenge Everingham for third at Lap 41, but the caution flew a lap later for Tyson going around in turn four. With nine laps to go, Semple led Passer, Walters, Everingham, Holmes, Bentley, McFerran, Tiemersma, Grubb, Lawrence, Grubb, Mombourquette, and Semeraro. Robb ran as the first car one lap down ahead of Maltese, Boundy, Herb Walters, Davey, Davenport, Sikes, Doucette, McLean, and Pepper. The first attempt at a restart saw the third caution as McFerran would go around in turn one, following contact with Holmes while racing three-wide. The second attempt was no cleaner, with Maltese making contact with McFerran, causing him to spin this time around in turn four. The third attempt saw a battle for the lead with Semple and Passer, with Semple grabbing the advantage going into turn one. It wouldn’t be over, though, as Passer would make contact with Semple, sending him around off the exit of turn two. Race officials would deem Tom Walters involved, despite only making contact with Passer as he tried to avoid the incident. After a show of displeasure, he was blackflagged for unsportsmanlike conduct and sent off the track. Everingham would also run into issues under the caution, which would result in Holmes taking over the lead ahead of bentley and Tiemersma. Bentley would get a good restart, grabbing the advantage ahead of Holmes as Tiemersma and Lawrence battled for third, with Grubb and Semeraro side-by-side for fifth. Lawrence would take the third spot with four laps to go ahead of Tiemersma as the battle for fifth continued. Making his way back to the front, Passer would take Grubb and Semeraro three-wide with two laps to go, allowing Semeraro to grab fifth ahead of Passer and Grubb. Matt Bentley picked up the victory ahead of Justin Holmes, Kris Lawrence, Gerrit Tiemersma, Brandon Passer, Stefan Semeraro, Ken Grubb, Dustyn Mombourquette, and Brandon McFerran. Paul Maltese finished as the first car one lap down in 10th ahead of Dave Doucette, Frank Davey, Herb Walters, Robbie Sikes, and Travis McLean. Todd Davenport finished 16th ahead of Paul Boundy, Ryan Semple, Tom Walters, Coltin Everingham, Miles Tyson, Dan Robb, and Paul Pepper.